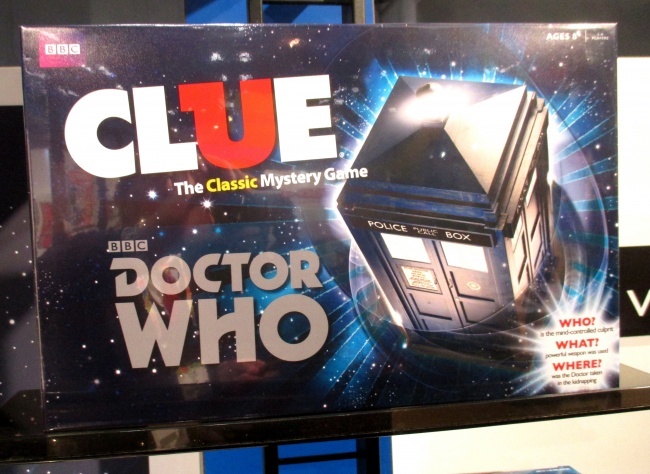 At Toy Fair, USAopoly shared two new 2015 additions to its Doctor Who licensed game program: Clue: Doctor Who Edition and Monopoly: Doctor Who Villains Edition. 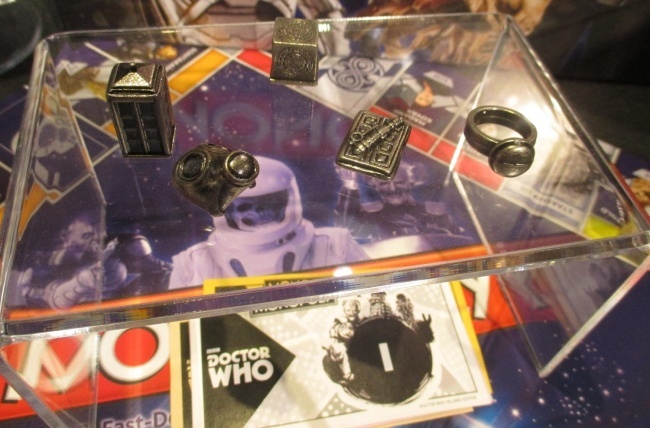 Clue: Doctor Who Edition will feature special custom tokens (pictured here) and is planned for August release. The game is for ages 8 and up, and has an MSRP of $39.95. 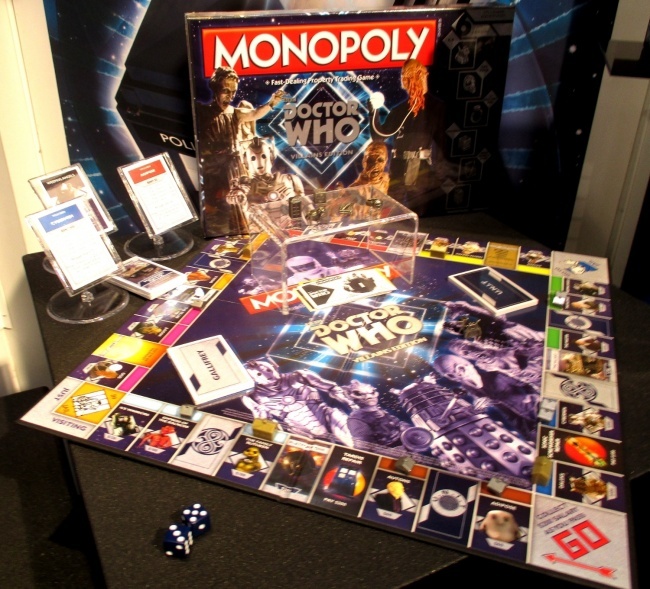 Monopoly: Doctor Who Villains Edition is for 2-6 players, ages 8 and up. MSRP is $39.95 and release is planned for July. “All the villains from the past 10 years will be featured in this game,” USAopoly Marketing Manager Cindy Saylor told ICv2. 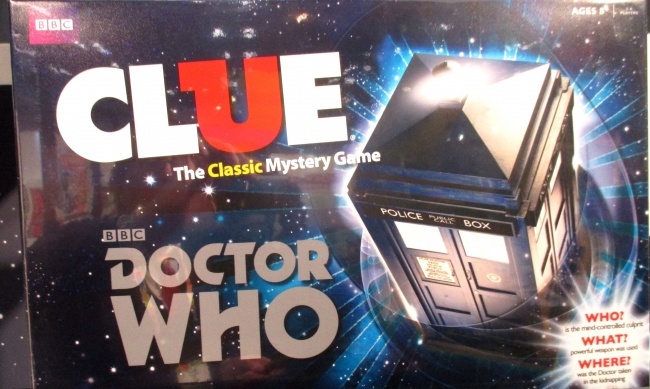 USAopoly released several Doctor Who-based games last year (see “'Risk: The Dalek Invasion of Earth'”).